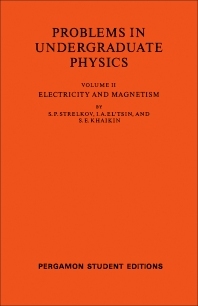 Problems in Undergraduate Physics, Volume II: Electricity and Magnetism is part of a series of titles that provides a collection of problems in the various aspects of physics. This book is designed to supplement any undergraduate physics textbook. This volume is comprised of 10 chapters that provide both problems and solutions in various aspects of electromagnetism. The coverage of this text includes direct current laws; magnetic field of a current; electromagnetic induction; alternating currents; and electromagnetic waves. This selection will be of great use to both instructors and students of undergraduate physics course.